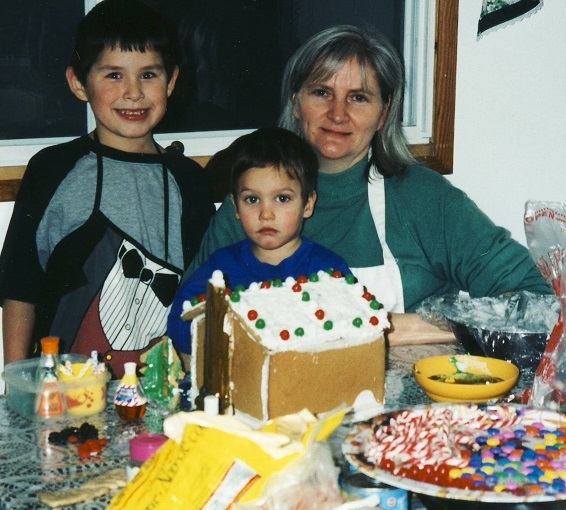 Many years ago, baking cookies and making a gingerbread house before Christmas became one of our family traditions. 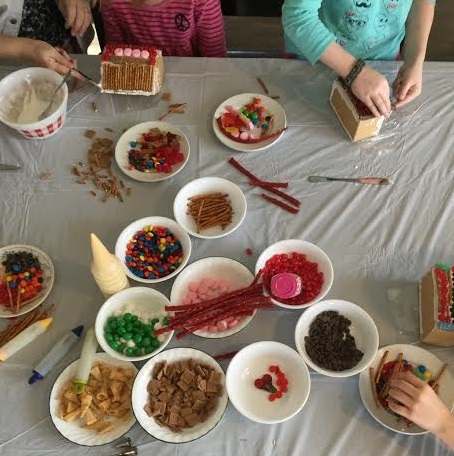 The gingerbread houses didn't happen every year, but at some point, all eight of our kids had a turn at decorating a house with candy. 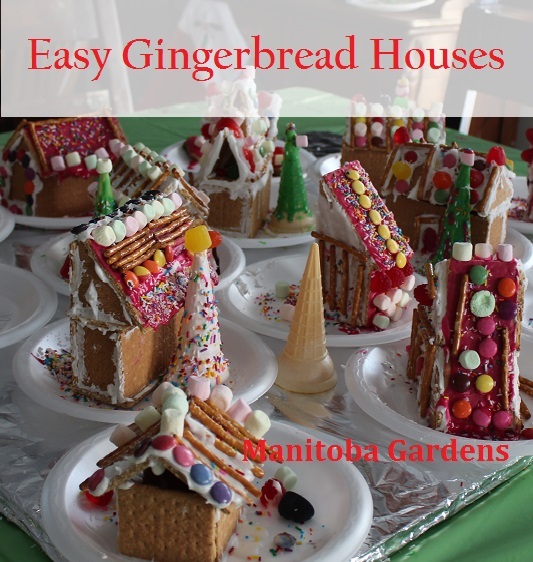 I still have the gingerbread house kit that I made over twenty-five years ago! 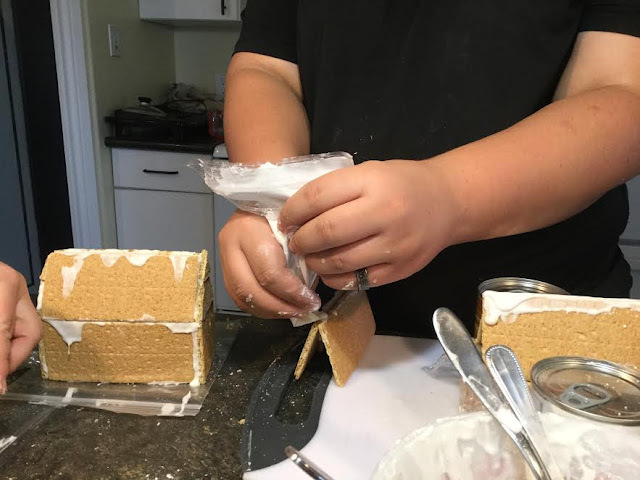 It's not pretty, but it had everything we needed: the recipe for gingerbread, the recipe for icing, and even cardboard cutouts to trace out the parts of the house, as well as a paper pattern, in case I needed to make another set. 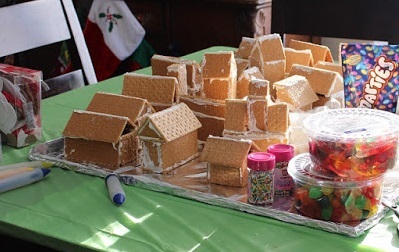 The problem with these houses was that by the time the kids tried to eat them, the gingerbread was hard enough to break your teeth. One year, we took our house to a Christmas party. One of the young guys there thought he would karate chop the house to break it apart....he just about broke his hand! 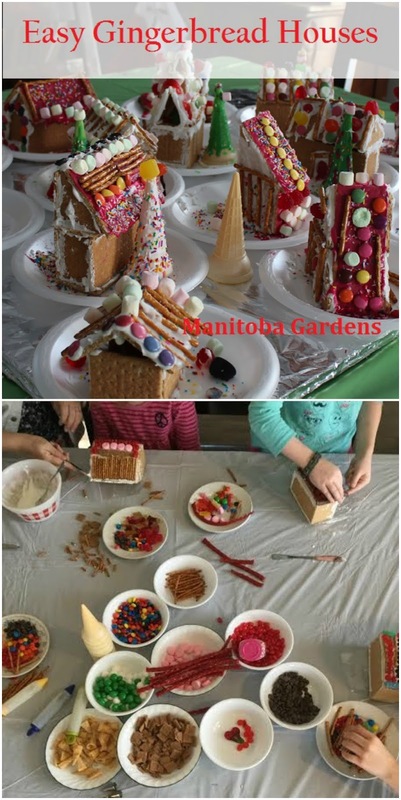 Gingerbread houses make a beautiful centerpiece, but it's a lot of work and expense to put into something that will probably end up in the trash. 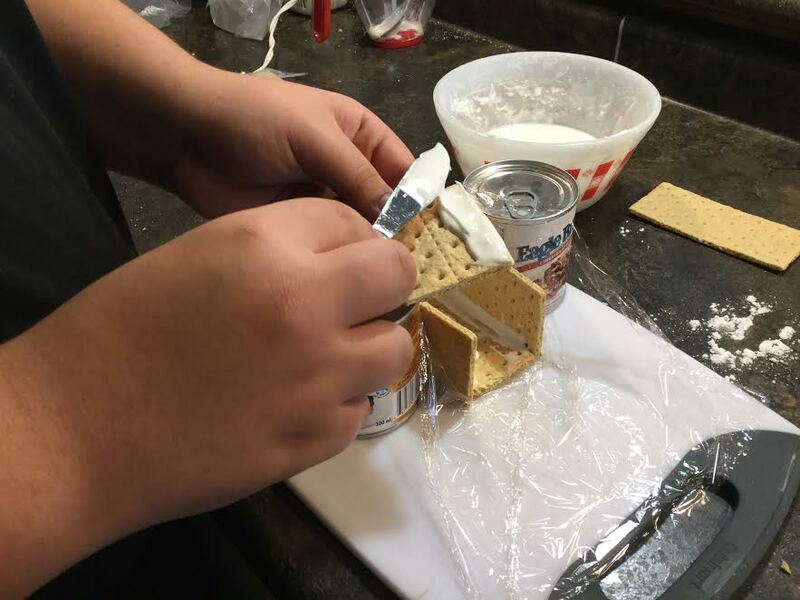 A few years ago, I decided to try something new...individual candy houses made with graham wafers. 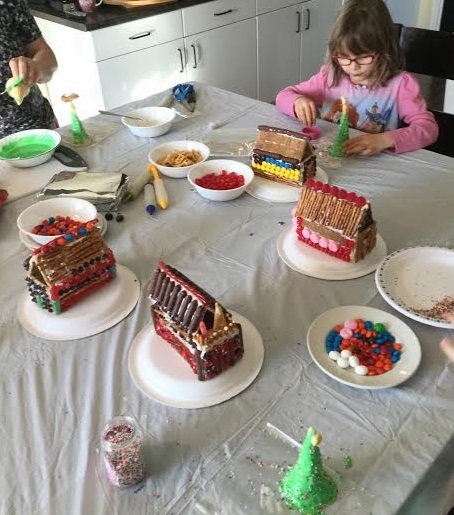 We were having the whole family home for Christmas, so we needed a lot of mini houses! Thankfully, I had help from Danny. 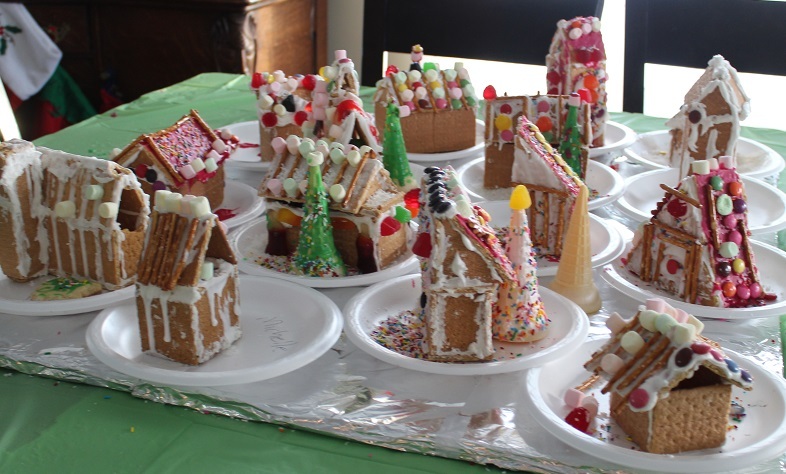 We built them all a few days before decorating day and kept them wrapped in plastic to keep them fresh. All ready for our family gathering. We made a few houses again this year so that we could show you the step by step instructions. It was a day off school, and a fun way to spend time with Danica and three of my grandkids. Danny helped me out again with the house construction. He's always wanted to build his own Tiny House....I'm not sure this is quite what he had in mind! 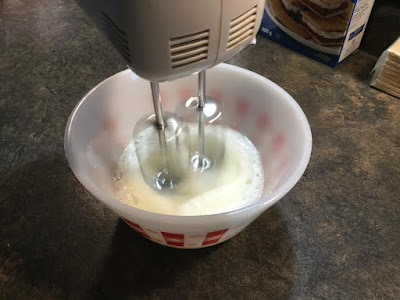 Beat egg whites at high speed until foamy. Add more sugar, if needed. We used cans to support the walls until the icing hardened. the icing can be applied with a butter knife or a small plastic bag. 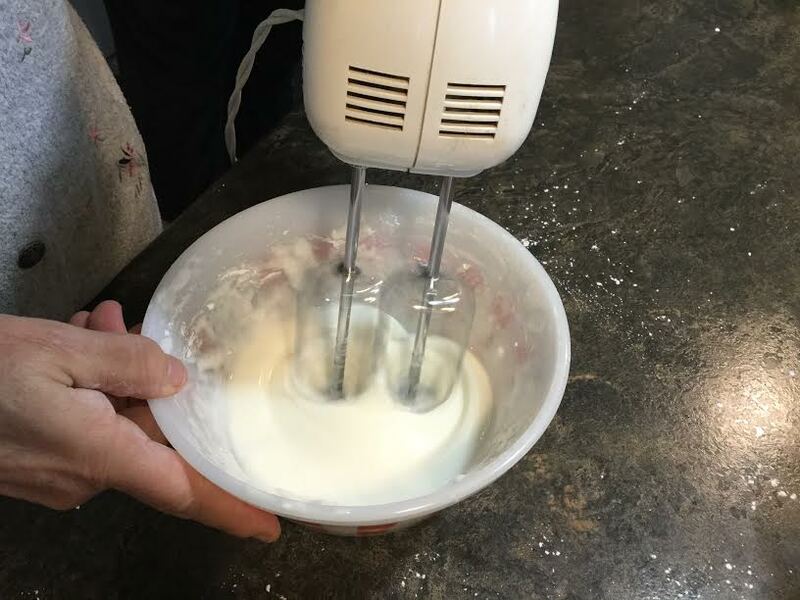 You can use small cans or jars to support the walls until the icing has hardened. 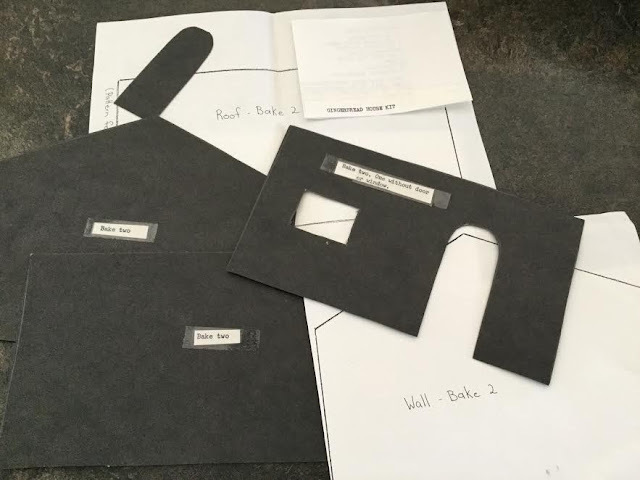 A smaller building project this time. Smile for the camera everyone! I hope you enjoyed our little construction project...we sure did! Don't forget to check out the entire Christmas Craft and Gift Series. Our icing could have been a little thicker too! So cute! I will definitely keep this in mind for family gatherings. 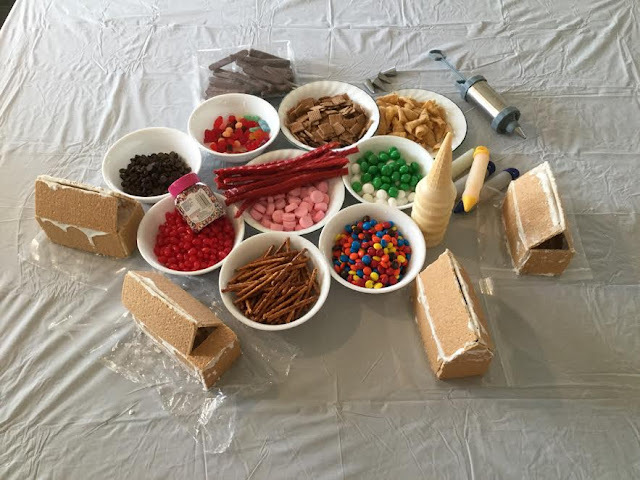 Lots cheaper and faster than those store-bought kits, and I like the free-form idea so that future architects can try their hand at tiny house design. I thought Danica did an awesome job with her tutorial! Thank you for all the tips on how to make these. I tried once and they kept falling apart before the icing dried enough to hold them together, so I will try using your tips and give it another try. I hope Danica will make more videos for you, this was great! Thanks Michelle and Kathi, I'm glad you found it helpful! Your gingerbread houses turned out lovely Deb. 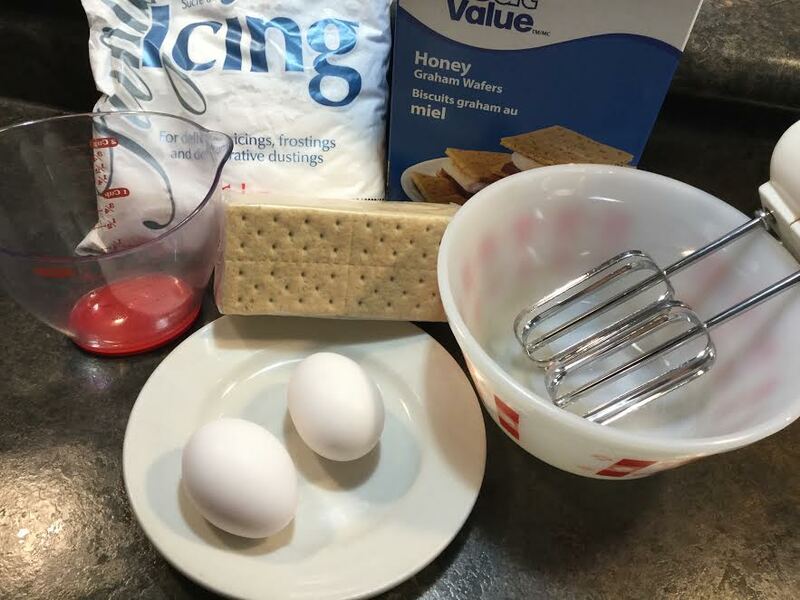 I've made them with graham crackers before. 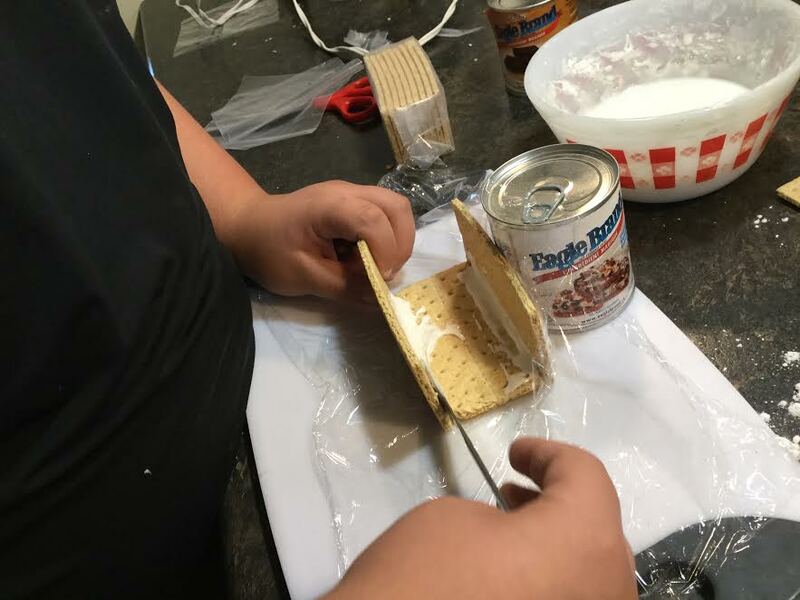 We've built them around the small cartons of milk for support and that worked great. A great Christmas project for the family. The milk carton is a good idea, Linda! Maybe we'll try that next time. 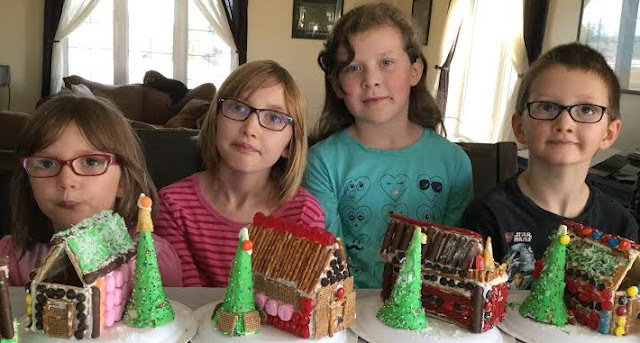 what a fun project for the kiddos, you can see it in their faces! thanks for sharing it with us! 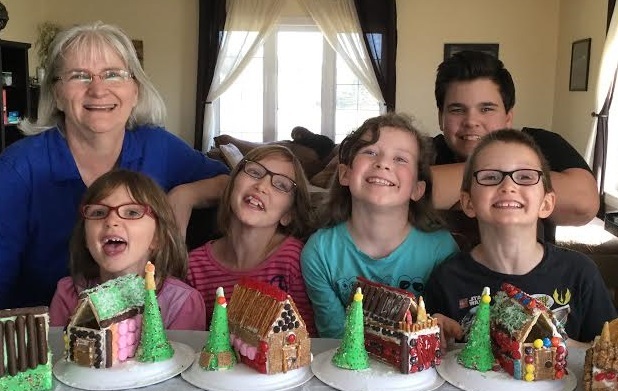 Thanks for stopping by, Debra, and for holding the Home For Christmas linkup! Looks like so much fun! I'd love for you to link this up at Monday Social at Myheartliveshere.com. Thanks Eilis, I'll check it out.